The Salty Dawg Rally™, a Bristol, RI-based non-profit organization dedicated to offshore sailing education, safety and communication, and building camaraderie among blue water sailors, will host three cruising events on the East Coast this summer. The 5th Annual 4th of July Rendezvous will be held in Bristol, RI on July 4. Enjoy lobsters, the colorful parade, concerts, fireworks and fun at America’s oldest 4th of July celebration. On July 9, the Rally will host a Southern Chesapeake Rendezvous at the private Indian Creek Yacht & Country Club in Kilmarnock, VA. This new event is open to all interested in blue water sailing, with a full afternoon and evening of activities including an open house of several blue water sailing vessels, talks by experienced ocean sailors and circumnavigator, a happy hour, entertainment and dining. 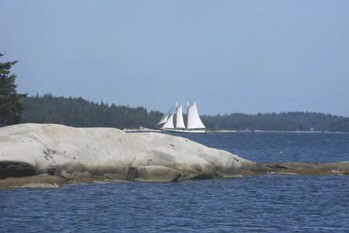 A new Rally to Maine will depart from ICYCC on July 11 and arrive in Maine for some great “downeast” cruising around July 18, depending on weather and boat speeds. The rally is open to all boats wishing to make this passage, with rally preparation assistance, weather services, offshore coordination, camaraderie and fun events, and it’s a great opportunity to gain offshore experience while sailing with a fun group. Extensive benefits are offered prior to departure, along the way and upon arrival in Maine, all for a nominal fee. The Rally to Maine will be led by experienced offshore sailors Hank & Seale George, with pre-departure events, stops in Dutch Harbor, RI (near Newport) and Mattapoisett Harbor, transit through the Cape Cod Canal and landfall in Rockland, ME, where an arrival reception will be held. The rally will also provide recommended short and longer cruises of the Maine coast for participants who wish to continue their adventure. Vessels may also join the Rally to Maine in Dutch Harbor. Cruisers planning to attend the 4th of July Rendezvous in Bristol can link up with the Rally to Maine about July 14. For more information, visit saltydawgrally.org or email Hank George at hank@saltydawgrally.org.